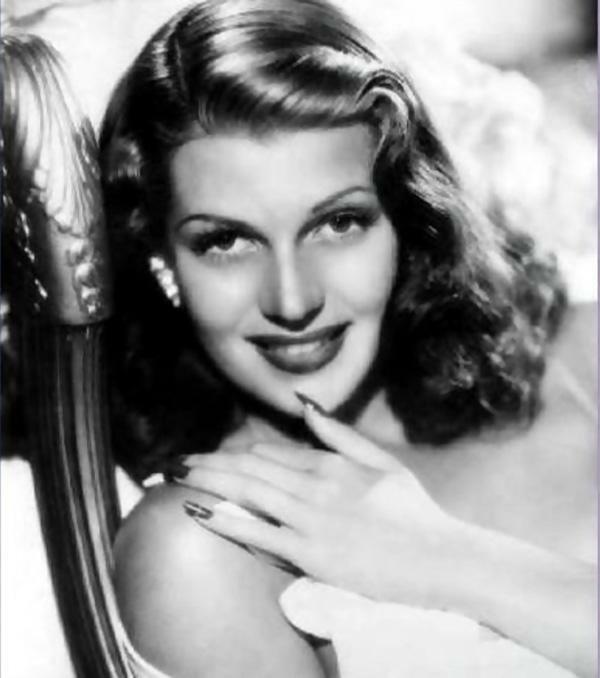 The history of nail art is an ancient tale lost in time, a journey that crosses oriental paths, magic and cultures. Studies have confirmed that most of what we know about this art comes directly from Chinese and Indian traditions, the expression of ancient civilizations that flourished thousands of years ago. Even if nail art as such is strongly related to the great Asian empires of the past, in order to really appreciate the beauty of this story we must consider the fact that even prehistoric men and women loved to decorate their own bodies. As a matter of fact, it has been confirmed that human beings started to paint their nails using henna during the Bronze Age. This incredible historical discovery has led many scholars to discuss the ways in which tattoos and nail art are in fact a sign of the human need to express not only a clear sense of belonging but also a more or less defined sense of self. The first nail lacquers appeared in 1500 BC, in China, Mesopotamia and Egypt. The importance that nail enamel came to assume in these civilisations is quite remarkable: using colours, people used to trace the boundaries between social classes and define their belonging to a certain tribe. Sometimes, nail art was even used to express the power of a certain individual. Leaving Asia and Middle East behind, it is fascinating to notice how history repeats itself at different latitudes and longitudes, demonstrating once again that nail art is somehow connected to an ancestral human need for beauty and imagination. Incas, Aztec and other pre-Columbian civilisations, in fact, used nail polish to decorate their nails and to define social classes. During the Middle Ages, people all around Europe and the world found themselves dealing with the power of the Inquisition, which fought with all its strength against all forms of beautification. 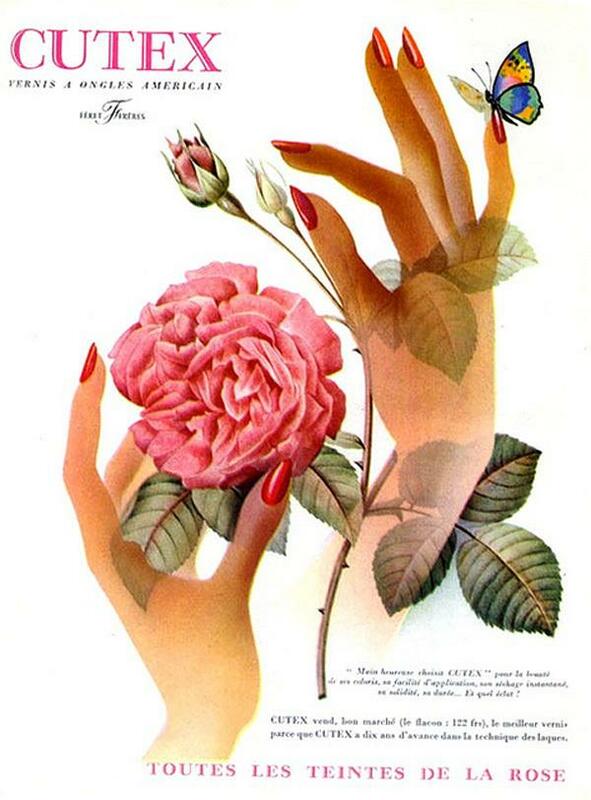 Although this was an era shaped by the darkest censorship and fear, nail art survived, pushed by the will of the most brilliant minds. 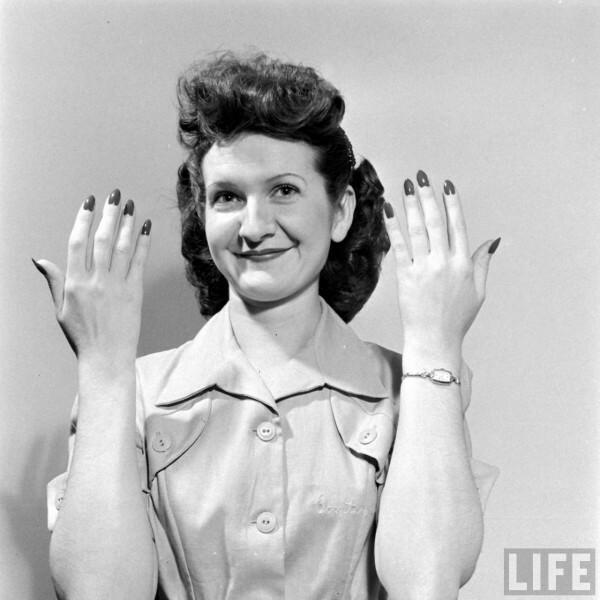 As soon as the Dark Ages faded away, in fact, nail art came back once again. 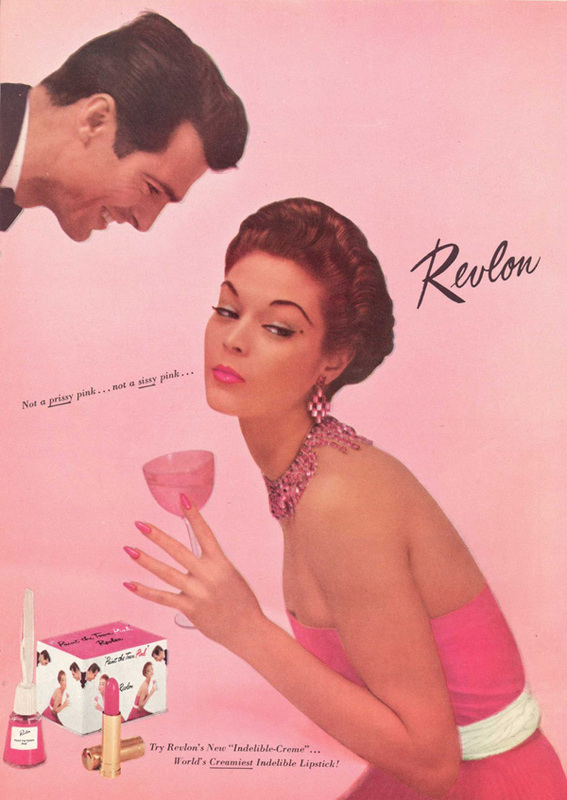 The manicure we all know appeared in the 1920s, thanks to Michelle Menard, who began the tradition of the red and pink nail polish. 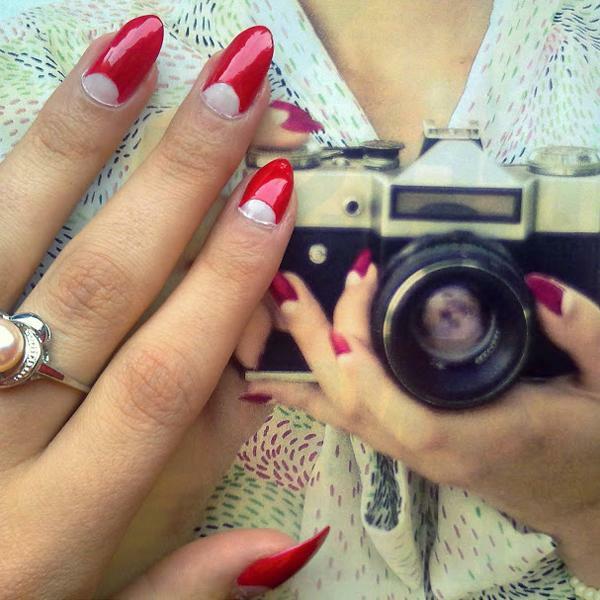 Moon manicure was the first protagonist of modern fashion. 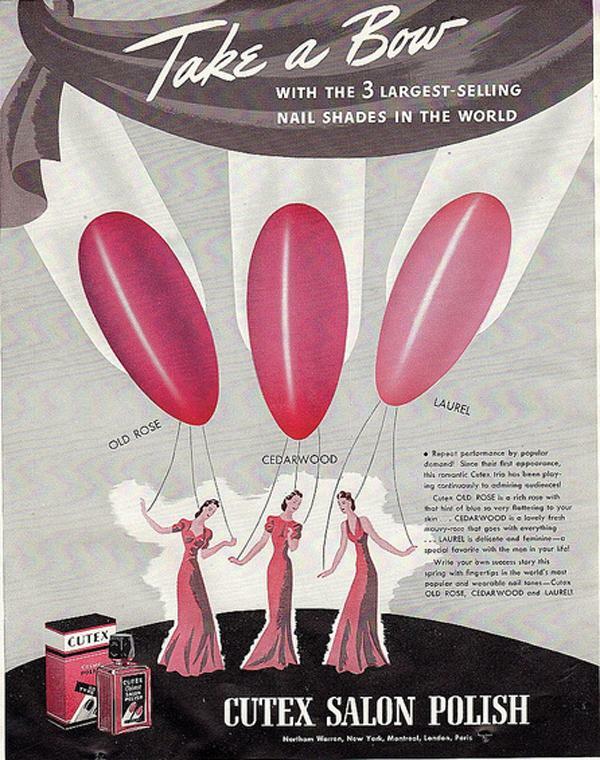 As soon as new kinds of nail lacquers were invented, however, a revolution started, colours became the central character of nail art and moon manicure went soon out of fashion (at least… for now). In 1934 a dentist name Maxwell Lappo created the first fake nail, completely unaware of the impact that his genius idea will have on the entire fashion industry. It wasn’t until the 1950s, however, that acrylic came on the scene, thanks to another dentist, Frederick Slack, who began to use acrylic to repair broken nails. The cultural revolution of the 1960s was welcomed by the world of nail artists, who quickly adopted natural and bright colours, inspired by both hippie movement and pop art. Furthermore, the revolution opened the door for women’s equality and freedom, which translated into different, colourful nail art designs. 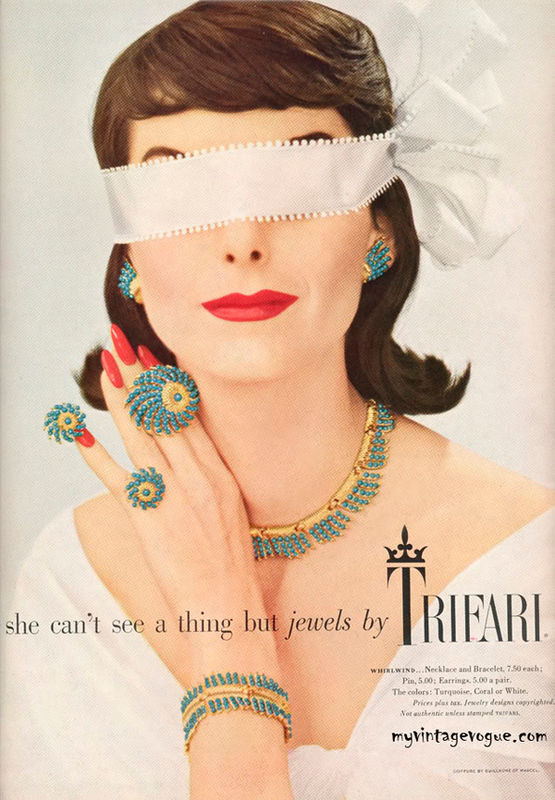 The square nail, extremely fashionable in the 1970s, was born thanks to Jeff Pink, who is responsible for some of the most important discoveries in the world of nail reconstruction. 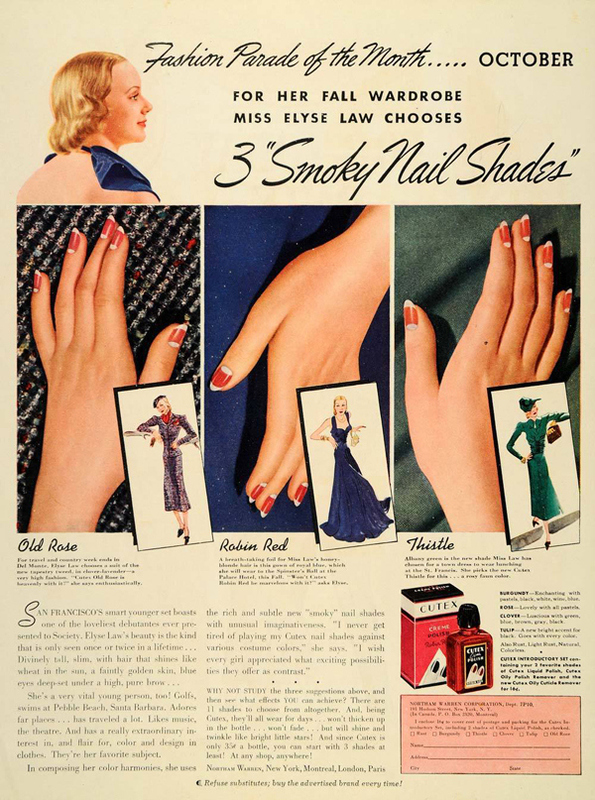 From this point on, the use of fake nails, built with a series of different materials and colours, became more and more common: nail art entered a new era.